Mailman is a low level communication protocol designed for soft real-time control of mobile robots through a wireless network. The need for a new protocol arises because wireless communication introduces problems that have been solved already in wired networks. 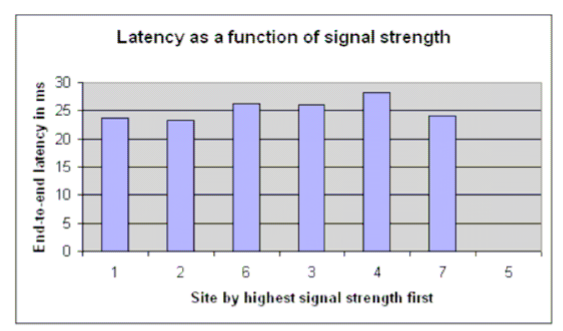 Point to point latency in a wireless network is typically in the order of a few to several tens of milliseconds. By contrast, an Ethernet built with off-the-shelf equipment requires just a few microseconds to transmit a frame. 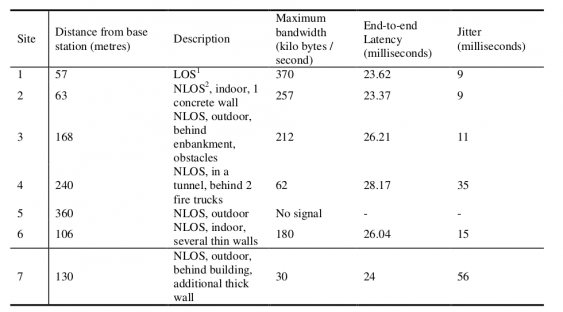 In typical use, the bandwidth available in a network implemented with 802.11x (WiFi) is much lower than the theoretical maximum bandwidth the technology is advertised to support. Both latency and bandwidth are adversely affected when the network is deployed in an unknown area. Obstacles reflecting or blocking the radio waves, the angles between transmitter and receiver, the distance between the communicating points and interference from other networks or radio equipment all combine to make reliable communication a challenge. On the other hand, distributed robotics applications nowadays require the capability to transmit large quantities of data, most of which is sensitive to delay. Video frames from onboard cameras, data from sensors and feedback from commands makes up the traffic from a remote unit to a base station. In the opposite direction, there are navigation commands, operational commands and critical commands travelling from the base station to the remote unit. Each type of data stream has different characteristics and requirements. For instance, a real time video stream that is transmitted from the remote unit to an operator in the base station that controls the navigation commands. It is necessary that the delay between each video frame be nearly the same in order to have a smooth video flow. In this case, a solution like buffering is not acceptable because the image must be in real time. Erratic delays cause jitter, which makes the output useless to the operator. Another type of data are emergency commands. As an example, if a robot finds itself in an area with explosive gases, the operator might want to shutdown some electronic equipment in order to minimize the chances of causing a fire outbreak. Such a SHUTDOWN command should be transmitted to the remote unit with as little delay as possible and with maximum priority over other types of traffic. Mailman is designed to offer a best-effort solution to these problems. It does this through a packet scheduler that employs traffic shaping algorithms to transmit data based on its priority, maximum delay and available bandwidth. Mailman uses UDP/IP in order to minimize the communication overhead for streaming applications like video and sensor feeds. It implements reliable transmission over UDP, that can be activated on request by the user. The protocol allows the users to set the priority, maximum delay values and other parameters for outgoing datagrams. IES has an implementation of the Mailman protocol, comprising a server and a user space library. The library provides a set of high level APIs that implement the protocol and also provide additional services, such as automatic server discovery. It is also possible to use the low level functions of the library to construct datagrams to be sent to the server by UDP. IES has run field tests on 802.16d-2004 equipment to assess the performance with respect to latency, bandwidth and signal reach. The testing site was in a location used for training personnel to counter disaster situations. Some of the testing points were on Line Of Sight (LOS) with the Base station, while most of them were Not on Line Of Sight (NLOS). One test was conducted from inside a tunnel. The software used for running the tests are Iperf, Netperf and several custom programs. 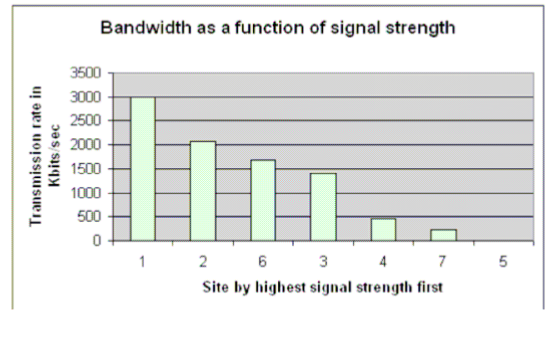 The next graph shows the bandwidth variation, as a function of the signal strength. IES is in the process of deploying a pilot project with 802.16d equipment that will be provided by a leader in the Wi-MAX equipment market. For more information on our test reports, Wi-MAX solutions and Mailman software solutions, please write us using the contact form.